The Baltimore Ravens have long been one of the most feared defenses on the field, and the most feared men off the field. Whether they're stripping wide receivers or themselves, the Ravens have always been loaded on one side of the ball. 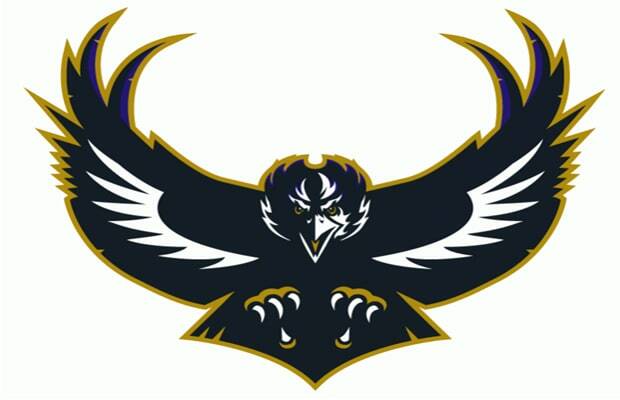 Their '90s black raven wings spread alternative logo actually predates their defensive dominance; it seems like a worthy candidate for a revival.